POPULAR Middle Eastern Casserole ..
• Combine the above ingredients and knead into a dough. A little water may be added to ease the blending. 1. 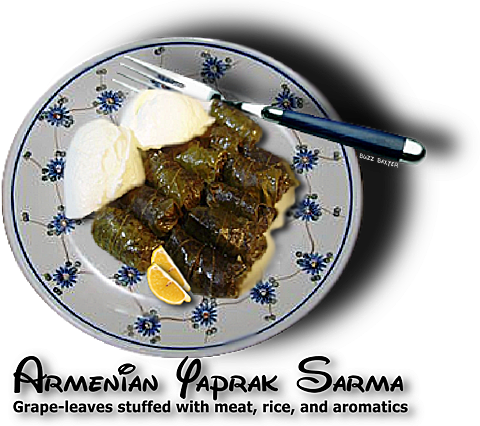 Take a large teaspoon full of the filling and place on the grape leaf and roll up turning in the ends. 2. Take a few of the large tougher leaves and line the bottom of a covered casserole. 3. 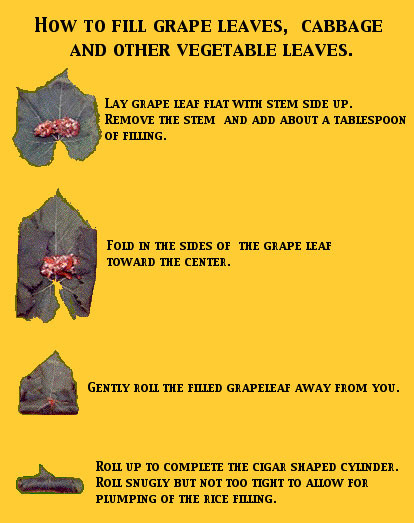 Place the rolled grape leaves side by side and layer upon layer. 4. Pour over the crushed tomatoes or tomato sauce,  lemon juice and broth or 1 cup of water. 5. Cover and cook in a preheated 350 degree oven for about 1 hour. 1. Try this dish with a large dollop of plain yogurt on top.